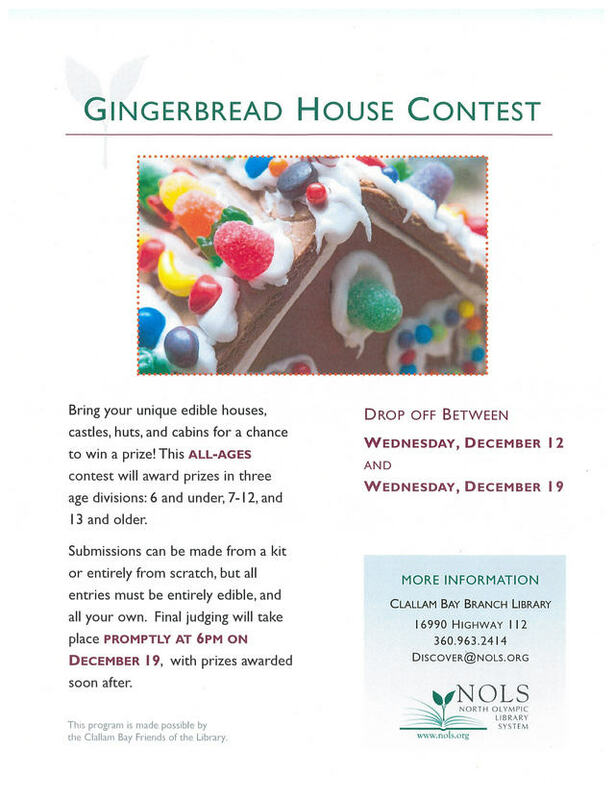 Bring your decorated gingerbread houses, castles, huts, and cabins to the Clallam Bay Branch Library’s annual Gingerbread House Contest! 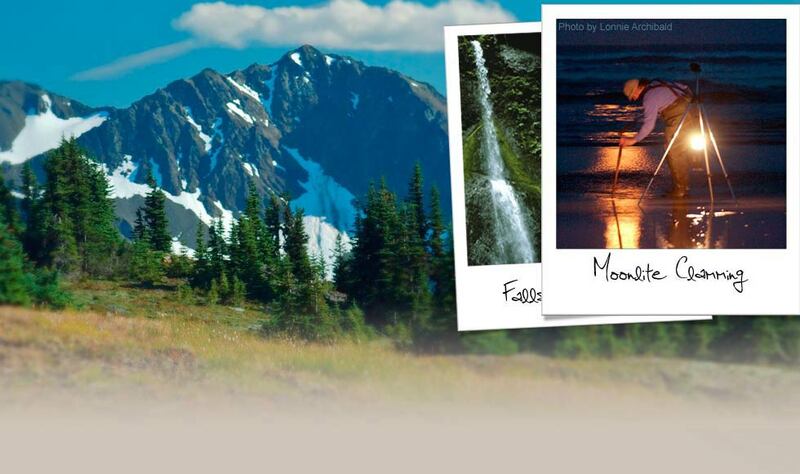 This fun, all-ages contest will award prizes in three age divisions – ages 6 and under, ages 7-12, and ages 13 and older. Drop off your creation at the library any time during regular business hours between Wednesday, December 12 and 6:pm on Wednesday, December 19. 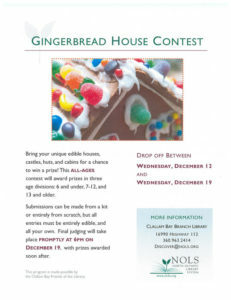 Final judging will take place promptly at 6:pm on December 19, with prizes awarded soon after.